Are you looking for a free WordPress SEO guide? 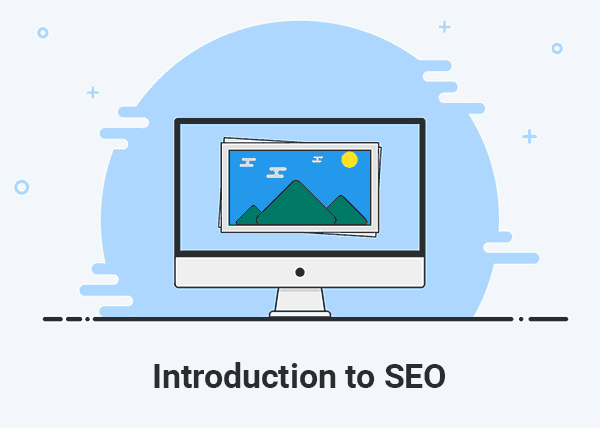 This beginner-friendly WordPress SEO guide will give you step by step actionable process to improve SEO. I will share with you WordPress SEO best practices, which are proven to boost traffic. WordPress is quite SEO friendly platform compared to other closed source content management systems, such as Wix and Shopify. If you want to get search traffic, WordPress is a great option. So, technically you can perform any SEO technique that you want on a WordPress site. Note: This SEO guide is for self-hosted WordPress websites only. Let’s start from scratch. I want to include as much details as possible in this guide. This WordPress SEO guide will help you perform SEO on any website, no matter what is your website niche. We will cover all the SEO topics which should be understood by a small business to maximize clicks through search. SEO or Search Engine Optimization is a process of optimizing websites for search engines. Most top search engines such as Google, Bing, and Yahoo use identical algorithms to crawl and index websites. Anyone can optimize a website if he has some knowledge of basic HTML. To master the art of SEO, you should consider improving HTML and CSS skills. It will help you adjust things on your website for better user experience. There are several basic techniques which SEO experts and webmasters use to get organic search traffic. Some people in the industry divided ethical techniques as white hat SEO while unethical ways also exist which are termed as black hat SEO. You can read more about them in this post: difference between white hat SEO vs black hat SEO. In this section, you are going to learn about the best practices to create WordPress website structure, develop a content strategy, perform competitors research, find keywords, set up Google analytics, verify Google Search Console property, and submit the sitemap. This section is helpful to set up your SEO strategy which will benefit your website for a long term. A logically structured website has a higher chance of ranking in the search results. Why? Because a structural website will be easier to index for search engines than the website which has no proper structure. One of the most important things, when you are creating your WordPress website, is to create a hierarchical website structure. Every page should be accessible to the user by links. So, they can easily navigate all the pages on a website. Please read this post on how to improve your website structure for SEO. When it comes to SEO, content is quite important. If you can write good content and cover all the topics which user will likely to search, you can easily rank a website for pretty competitive terms. So, make sure that your website content is relevant to each other. For example, if your whole website content is about ‘Travel’ and you out of thin air start to write content on beauty products, it won’t be very good for your website. Pick up few topics/products and write about them. Also, avoid copying content from other websites, as search engines can identify copied content. In this post, I have talked about how to find and fix duplicate content issues. I would highly recommend you to create a complete content strategy before starting a website. It will help you improve your site structure, SEO, and topical relevance. Read this post on developing a content strategy for the small business website. You can collect a lot of useful competitors information, such as their link building techniques, keyword strategy, content strategy, and more. This will be helpful to understand your market and audience as well. Find out top competitors in your industry and learn what content strategy they are using and how they are ranking well in search. You can also check competitors backlinks by using these competitors analysis tools. Keywords are the backbone of SEO. If you don’t use good keywords, you will be having a tough time to attract search traffic. You can use these free keyword research tools to find out good keywords. I personally prefer to use the Google Keyword Planner tool which comes with Adwords. You just enter seed keywords and it will give you good keyword ideas which people are actually searching on Google. By using Google Analytics you can track who’s been visiting your website, what they have been doing and from how they got there. Here’s how you can set up Google Analytics on your WordPress website. Step 1: Sign-up on Google Analytics website here. Create a new website property. Step 2: Enter your website/company name. Now add your website domain address. Choose the protocol for your website: ‘http or https’. Choose an ‘Industry Category’ that best matches your website. Now click on Get Tracking ID button. Step 3: Install & Activate Google Analytics for Dashboard Plugin from WordPress plugins directory or follow this link. After activating this plugin, Open the plugin configuration page, which is located under Google Analytics menu. Authorize the plugin to connect to Google Analytics using the Authorize Plugin button. Step 1: In the Search Console home page, click the Add a property button and type the URL of the website. Specify the URL exactly as it appears in the browser bar, including the final / mark. Click Continue to open the Site verification page. Step 3: Copy the verification code from Alternate method window and paste it in the head script section of this plugin. Now go back to Google Search Console and click on the Verify button. Now that you have created a website and collected all that data, you should start notifying search engines about the existence of your website. The best way to do it submits a sitemap. I personally submit the sitemap to top 3 search engines Google, Bing, and Yahoo. Before that, you may need to create XML sitemap on WordPress. You can use any of these WordPress XML sitemap plugins to generate a sitemap. Once you are done, submit the sitemap to Google, Bing, and Yahoo. When you create header and footer menu links, make sure to include all the top pages/categories in the menus. However, keep it short and sweet. Don’t add unnecessary pages in the menus. Footer menu is used for giving legal information, partner links, sitemaps, privacy, terms & conditions. 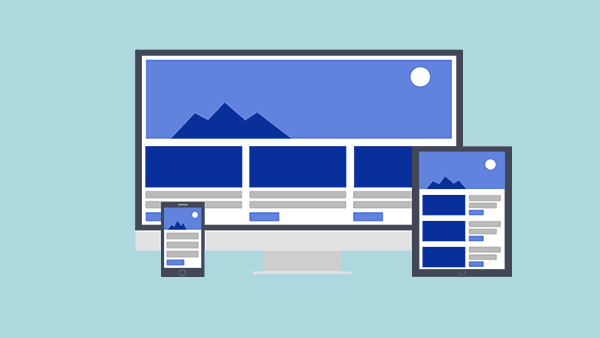 By keeping your website navigation short and to the point, Google has a higher chance of understanding which pages are important for your website visitors to see. Also, it can help you get site links on your domain quite easily. If you have a blog or shop where you need to categorize content, make sure to use these best practices in order to get the most benefit with SEO. Keep your tags & categories to minimal. So users can easily navigate them. You can also add your top tags and category pages in header navigation menu, sidebar, and footer menu. Or if you have a blog you will simply use the post name in URL. Aim to make your URLs easier to read and short. If your visitors will look at it can easily understand what the page is about without even looking at your website content. Many WordPress beginner users make this terrible mistake. There’s an option in WordPress settings to hide a website from search engine. When you install WordPress on a website, it comes with the option ‘Search Engine Visibility’ checked by default. This means that your website will be invisible to search engine crawlers. When you are ready to launch your website, please make sure to uncheck this option. Login to your WordPress website, go to settings > Reading > Search Engine Visibility > Uncheck. There are a lot of different best WordPress SEO plugins. We will be mainly using 1 plugin Yoast SEO. It is one of the best plugin and totally free for most basic options. However, if you want you can buy a premium version as well. Read my full review of Yoast SEO premium vs Yoast SEO free. You won’t have trouble setting up this plugin especially when the plugin author included a user interface for beginners to easily set up this plugin. Now, here comes the part which actually matters the most in terms of SEO. You cannot get much search traffic without optimizing your website pages and posts with the right keywords. We have covered the topic of keyword research at the beginning of this guide. We will be using those keywords to optimize our pages. Include your keywords in Page/post title. Add keywords at the beginning of your article or page. Use keywords in alt text of your pages. Add meta title & description using Yoast SEO plugin. Add your keywords in both of them. Use internal links to other relevant blog posts/pages. Use proper headings on each page or post. Use keyword rich headings. Write short paragraphs & sentences so users can easily read content. One of the very important topics, which most SEO guides don’t talk about. You can rank any website if you have a good content strategy, site structure, and internal links. Internal links are backbone of on-page SEO. However, you should keep these points in mind when linking to other pages and posts on your WordPress website. Use descriptive anchor text when creating links. Don’t place links on every second word of a website. Keep them in balance. A good practice is don’t use any more than 1 or 2 links in each paragraph. Linking pages should be relevant to each other or at least talk about the closely similar topic. Make sure that all the links on your website are working. You can read this post on how to find and fix broken links on a WordPress website. Also, use nofollow attribute when linking to external websites. You can read more on how to add nofollow link in WordPress. Recently Google introduced a new search algorithm, Mobile-first Indexing. The purpose of this update is to first crawl and index a mobile version of a new page rather than a desktop version. In the past, Googlebot used a desktop website version when it crawled and indexed websites. to the mobile website. By responsive theme, it means a website layout which fits and adjust to the actual size of the screen. A well built responsive theme will help them improve ranking. It can be done by using HTML and CSS (if you want to do it manually). However, the easier way is to use responsive themes from the WordPress themes directory. Also, there are tons of paid WordPress responsive themes you can use according to your website needs. Since more people are using mobile these days than a desktop computer. It is important to stylize your content for voice searches. People are using different voice assistants such as Apple’s Siri and Google Assistant to conduct searches. 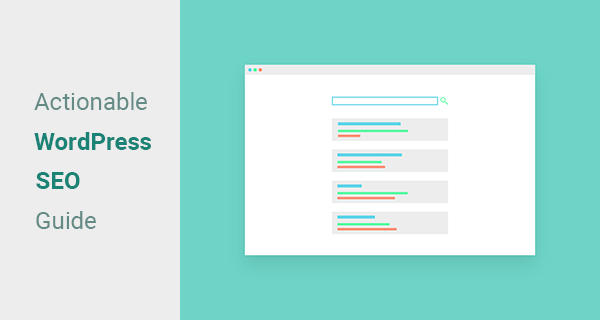 You can read more on how to optimize your website content for voice searches. Website Speed can help you reduce bounce rate as well as it will assure your content is being delivered to your audience on the right time. That’s why your WordPress website needs to be optimized in terms of speed for both mobile and desktop users. Here’s what you can do to optimize it. Some of my clients’ sites have ridiculously large images both in terms of size and resolution of the images. Unoptimized images can have a negative impact on your SEO. If you have already uploaded images on your WordPress website, then you can use some plugins such as EWWW Image Optimizer and WP Smush, both are great plugins which will reduce the image file size. If you are looking to add high-quality images to your website then check out some of these stock photo and video websites to enrich your blog posts. Make sure to always optimize images before uploading them to your WordPress site. It is a better way than to rely on plugins. I personally use software such as PhotoShop and Gimp to compress images. You can read my comprehensive tutorial on how to compress images without losing quality. Only optimizing images won’t do you any good if your website code is all over the place. To improve your website speed, consider using cache plugins. There are plenty of such plugins exist in the WordPress plugins directory both free and paid. I personally use WP Fastest Cache on this website and a few others I manage. However, you can use any caching plugin of your choice. I did a side-by-side comparison between the 2 amazing cache plugins here: WP Total Cache VS WP Fastest Cache. I hope you find this post useful. Please consider sharing it so more businesses can optimize their WordPress websites without relying on outside help. If you don’t feel like doing it yourself you can get a quote for my quality SEO services for a reasonable price. Great Information . Very Useful Topic.